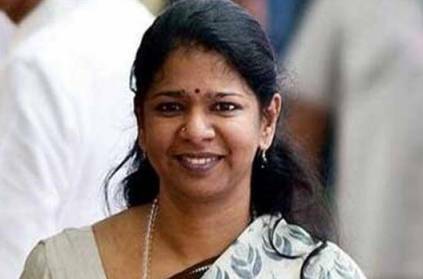 Later in the evening of 16 April, two days before the Lok Sabha elections on 18 April, DMK's Tuticorin candidate Kanimozhi's Tuticorin residence had been raided by the Income Tax officials for around 2 hours. DMK Chief and her brother Stalin said it was BJP's tactic to put pressure on opposition. He also questioned why Tamilisai's residence isn't being raided. According to TOI, a senior official has said that "We recieved information from Tuticorin collector that the upper portion of the residence is being used for storing cash. Based on the information from the collector, we entered the residence along with two squads. We are only checking whether any money is being stored there." As per ANI reports, DMK workers are protesting outside the residence where raid is being conducted. It is noteworthy that after Vellore DMK member's raid, last week tax department officials conducted searches at 18 locations in the state. The list of sites included state capital Chennai, Namakkal and Tirunelveli. Most of the searches were on properties owned by opposition leaders. At the end of the raid the officials revealed that they did not find anything. Kanimozhi reacted to the raid saying this was a plan to cancel polls in Tuticorin like Vellore. This page contains news relating to various facts and events. The views are generally about current affiars and general topics in diversified areas such as political, international, national, and regional issues, sports, health, travel, lifestyle, technology and business. People having similar interets on the above topics will find this page useful. Reason for IT raid in Kanimozhi's residence revealed! | Tamil Nadu News.